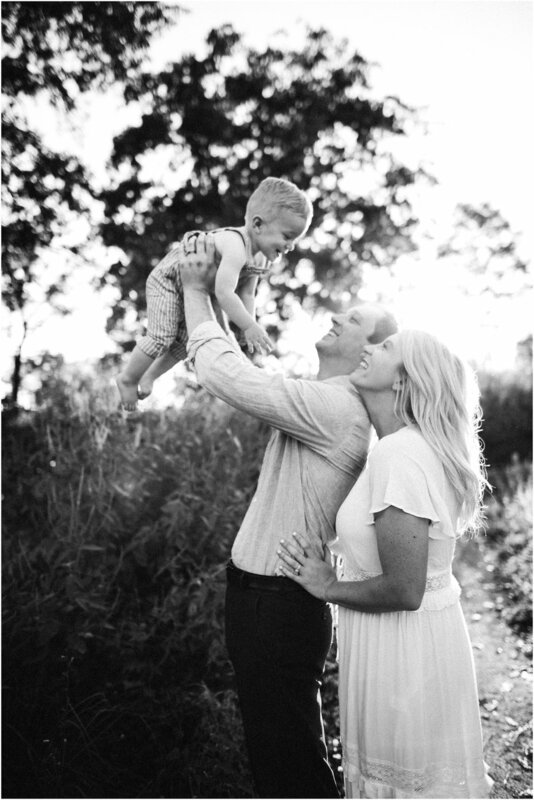 This family… They were the perfect reminder of how important it is to slow down and celebrate the life you’ve built together, the season of time you are in and the goodness that your days hold. When this beautiful momma (and amazingly talented photographer!) reached out to me about this session I was so excited. It was inspiring to me that her and her husband, Chris, wanted to especially focus on the two of them and their love… A way to update their wedding photos and have a tangible reminder of the blessings that have overflowed from their love and commitment for another. One obvious blessing that has come from their love is sweet, adorable Maverick. I mean… just wait until you see his little face! They showed up so easy going (despite the 100 degree temperature) and without any expectation other than to connect with one another and have fun while doing so. And, well, it all ended up like a dream. Thank you, O’Connor Family, for being so wonderful to work with. You have such a beautiful family and your love for one another is truly an inspiration!